The Asian greens section of your grocer can intimidate initially with all the boks, and choys, sums, shoots and sprouts, but don’t let that deter you. Names aside, they’re just greens of which bok choy is the star. 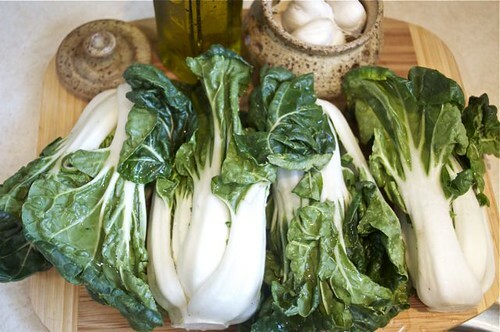 It’s heaven in its natural state headed for a salad or – to perfectly cook bok choy, separate the green leafy part from the white stalk to create 2 piles– heat up a pan, swirl in a little olive oil, mince some garlic, add the stalks, cook until tender and finish with the roughly chopped leaves. If you have the pleasure of dealing with baby bok choy, simply slice down the middle and sear to a golden crunchy perfection. If as many end up on the plate as were in the pan, well, you’re a better soul than I. My point? Don’t balk the bok!